Cultural jewelry refers to certain pieces that are either traditional to a culture or have a special meaning in a certain country. As cultures around the world have always been a fantastic fashion inspiration, you probably own a couple of cultural jewelry pieces without even knowing. When buying precious & semi precious stones jewelry, there may be a meaning behind its design. Yes, there is a fascinating story behind every piece, so you have to read on to find out. Get comfy, pour yourself a cup of coffee and learn about cultural jewelry and its significance. The torc (or torque) necklace that is so popular this winter is actually inspired from the Celtic culture. For those of you who don’t know this, a torc necklace is a metal band that closes around the neck. Celtic people used to wear it as a symbol of high rank. Only queens, kings, priests and warriors could wear the torc necklace as they believed it to be a symbol of divine protection. We don’t know about divine protection, but we can assure you that the torc necklace is back in style. Besides being a very interesting cultural jewelry piece, it also has a polished look and it adds a contemporary edge to any outfit. No, this is not about a car, though the car brand almost spells the same. Almost. Anyway, the Tuareg cross is another interesting piece of cultural jewelry as it has a beautiful symbol. People from the Tuareg tribes in Northern Africa wear this cross and pass it down from generation to generation. It will surprise you to find out, but this cross is not about religion. In fact, the Tuareg people are nomads and their cross symbolizes the four corners of the world. If you are a traveler yourself or want to get a nice present for your adventurous friend, now you know what to buy. You know those beautiful leather bracelets? Their inspiration comes from the Saami tribe in Northern Sweden. Just like the Tuareg people, the Saami were nomads and they didn’t produce cultural jewelry of metal. Instead, their used reindeer leather and nowadays, their creations inspire jewelry designers everywhere around the Globe. 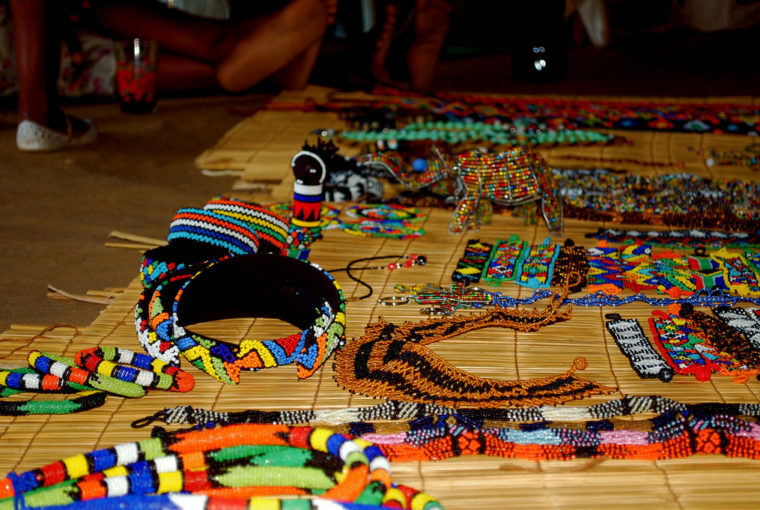 When it comes to cultural jewelry, we all think about Zulu beadwork as it is impressive and colorful. The interesting thing about the Zulu bead jewelry is that it is a communication method. Yes, you read correctly. Zulu women learn from a young age to make this jewelry and the design and color choosing are very specific. Through their cultural jewelry, Zulu women communicate to men their family and marital status, as well as other important things. And no, Zulu men aren’t more perceptive than other men in this world. They still get help from women to decipher the message of a Zulu bead jewelry piece. That cute little hand-shaped pendant that you have is actually an important piece of cultural jewelry. In the Middle East, the Hamsa signifies the “Hand of God” and people wear it as an amulet for protection. They believe it brings good luck and fortune to the wearer. As it turns out, besides being incredibly cute, the Hamsa hand also has a rich symbol and history. Well, if you are not a big fan of religion, just wear it as a cute pendant. After all, it is charming. This is, perhaps, the most famous cultural jewelry piece. It is also one of the most powerful symbols in the world. The Evil Eye comes from Ancient Greece and Rome. As opposed to its name, it is actually a good eye. The purpose of an evil eye amulet was to provide protection against evil forces. Well, perhaps they designed it as such hoping that its sharp gaze will scare away the evil forces. Nevertheless, this cultural jewelry piece has a very rich history and an interesting design. And when you wear it, it will always be a great conversation starter. Everybody loves turquoise, but the Navajo tribes of the American Southwest love it the most. Turquoise jewelry is very important to them as it symbolizes wealth and social power. The number of stones, the size of the jewelry pieces as well as how much turquoise jewelry somebody wears are all indicators of his or her social status. Cultural jewelry is a fantastic way to expand your knowledge about the world and become aware of the great stories of other cultures. It is always a good idea to know the story behind the piece you wear. And that’s why we are here. If you check out our other articles as well, you will discover fantastic jewelry information, from buying and maintenance guides to styling articles and jewelry history stories. Visit Ana Luisa online jewelry shop to view our unique designer jewelry collections inspired by history, culture, and art.